Circa 1941, the NoZe Brothers strike a pose. 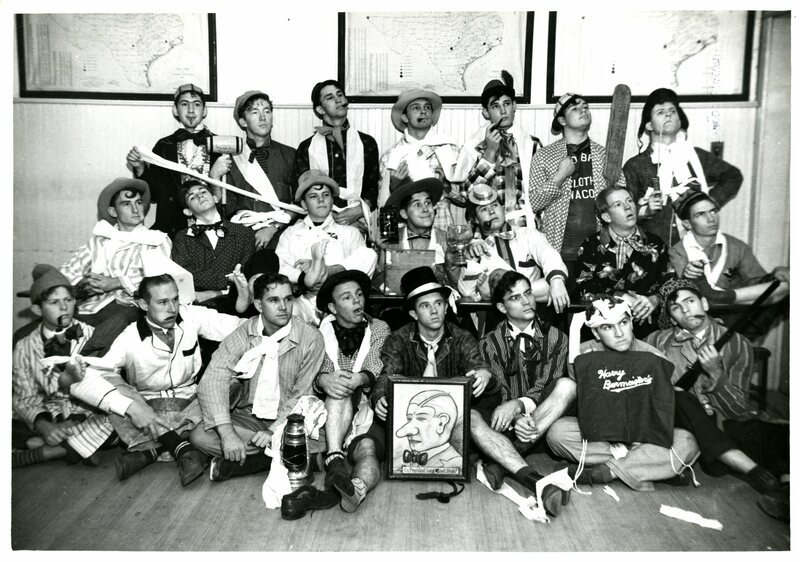 Notice the portrait of Brother Long Nose Shoaf, the first President of the club (center). General Photos collection, box 75.01, folder 1. What did I just read, you’re asking? Welcome to the bizarre world of the NoZe Brotherhood, the secret and satirical society on the campus of Baylor University. Named after its first president, Leonard Shoaf, whose nose was apparently so huge you could form a club around it, the NoZe Brotherhood was founded in the mid-1920s as a satire on men’s social organizations. They’ve had a long and checkered history at Baylor University, to say the least. At best, university administration has tolerated their jokes. 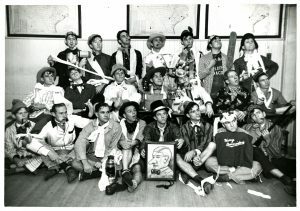 The oldest social club at Baylor University, the NoZe Brotherhood is not–I repeat, not–an official student organization.